When I was really young, I used to know all the automobile models, and would point them out when my parents and grandparents were driving. But somewhere between late high school and early college, my car passion, as it were, turned to convertibles. To be fair, these weren’t just any or all kinds of convertibles. After all, even Volkswagen makes convertible models. No, the objects of my affection were the big, boat-like kind. These were the kind that former auto executive George Romney derided as “gas-guzzling dinosaurs.” My goal was to own one of these in the non-too distant future. In the interest of full disclosure, I’ve always been a mechanical klutz. I never had any intention of learning how to fix a convertible, how to restore a convertible, but in general, just driving and looking and admiring one of them. I’ve heard them denounced as merely a “rich man’s plaything.” But in my case, these words came from a car salesman who was trying to steer me towards closed top sedans he had in stock. When I was in early college, one day, I saw a stirring sight indeed drive by. I thought, “What is this magnificent boat?” Actually, it was a 1961 Lincoln Continental four door convertible. The top was down, all of its lines were clean, from hood insignia to the rear tip of the trunk. I stood there for some time, awestruck. With difficulty, I returned my focus to schoolwork. Once I was out of school and the Army, and was earning a living, I started the quest for a giant convertible. 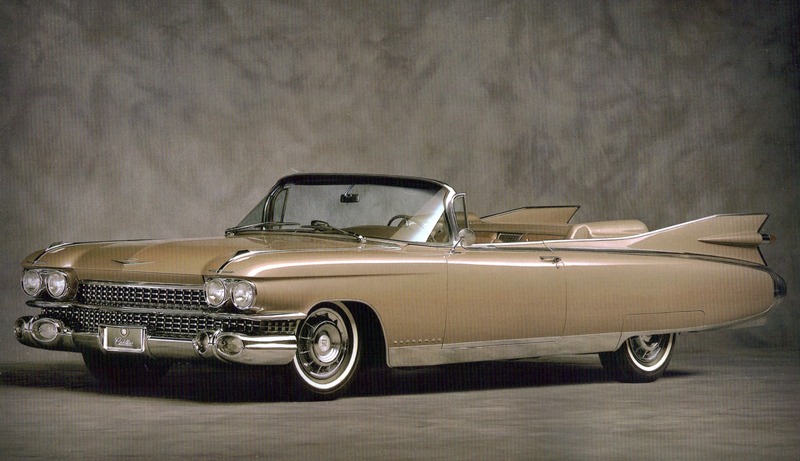 In the U.S. at that time, only Lincoln made four door convertibles. But I knew that Cadillac El Dorados were very classy also. Not too long after, I struck my payload. At a suburban dealer, a one year old, low mileage Lincoln Continental convertible was available. I swooped down and bought it, without any price negotiation. I tried my best to take care of this car, in the harsh Midwest climate. During the day, parking at work, I covered the car with a plastic top. Driving around with the top down was sheer delight. The mechanism worked automatically. The trunk would rise up during the process and the top would descend into the trunk. This step provided ultra-clean lines. Of course, you gave up luggage space in the trunk, but there was always the back seat. One character at my Department looked at my prize and dismissed it by saying, “Old man’s car.” But what did this jerk know? Another point worth mentioning was gas, both mileage and pricing. None of my big convertibles got good mileage, in fact, they got horrible mileage. But in the 60s through maybe the 80s, I always used the regular type at the pump. This was at the advice of several dealers. Keep in mind that this type of gas was full ethyl. Once ethyl was out of the formula, by government decree, I immediately changed all my pumping to full super. My next passion for my Lincoln was a cross country trip, Chicago to the Los Angeles area, to visit various national parks along the way. I could only take two weeks to accomplish this trip and it was a whirlwind. For someone who had never before been west of St. Louis, my trip was a lifetime event. The Interstate highway system was substantially complete by then, and my green Lincoln Continental and I soared. There were a few glitches, however. The Lincoln dealer should have warned me of one of them, and inspected for the other. First, both Lincolns and Cadillac El Dorados used front wheel drive (what this is constitutes another mystery to a mechanical klutz). Whatever benefits accrued from this, it meant the front tires would sometimes blow, with no connection to any nail or age. This happened to me on the way out and slowed me down, while I bought a replacement. This made me jittery for the rest of the trip. Then, at the gates of California, at least in those days, the “Green River Ordinance” raised its head. Inspectors wanted to check car trunks for any offending vegetables or fruits that might endanger California plants. But when I stopped and pushed the button to open the trunk, nothing—yes, nothing—happened. I pushed and pushed again, with the inspector obviously growing impatient. But then, a miracle of sorts occurred and the trunk popped open. I was free to go. All in all, my cross country trip with my Lincoln convertible was one of the high points of my life to date. Then, back in Chicago, I acquired something else, a fiancé. We had great fun in the green Lincoln, but I got the idea that I should present her with a new car. So, after shedding a few tears and taking a ton of photographs, I traded in the “green giant” for what else—a brand new 1966 four door blue Lincoln Continental convertible. We had great fun in this car too, occasional blown tires and all. A few years later, minus my fiancé, I found myself working in what amounted to a sweat shop environment. Although my love for the big ragtops was still intense, it somehow got circumvented by my passion for professional progress. As a result, I wound up trading the blue giant for—can you believe it—two successive, conventional sedans. What was I thinking of? These were fine cars, but I never really ENJOYED them, the way I had enjoyed convertibles. A few years still later, my career was making real progress. I knew I had to celebrate right, and I did, going back on the convertible route. By that time, Lincoln sorely disappointed me by ending convertible production entirely. But Cadillac El Dorados were going strong, even with only two doors available. The light blue model I chose was a thing of beauty. When the top came down, it’s true that it had to stay outside, right in front of the trunk. But the lines were otherwise so clean and stately that this was a trivial disadvantage. I kept my El Dorado for over 30 years, through job changes and cross country moves. Also, I finally got married (for the first and only time) while in proud El Dorado ownership. Still, of course, there was always the touchy question of how to monitor and fix the car. Dealers were often exorbitant, and finding someone competent and trustworthy was no easy task. Up until then, I hadn’t thought about foreign convertibles. But I often noticed the lines of Mercedes convertibles and was very impressed. 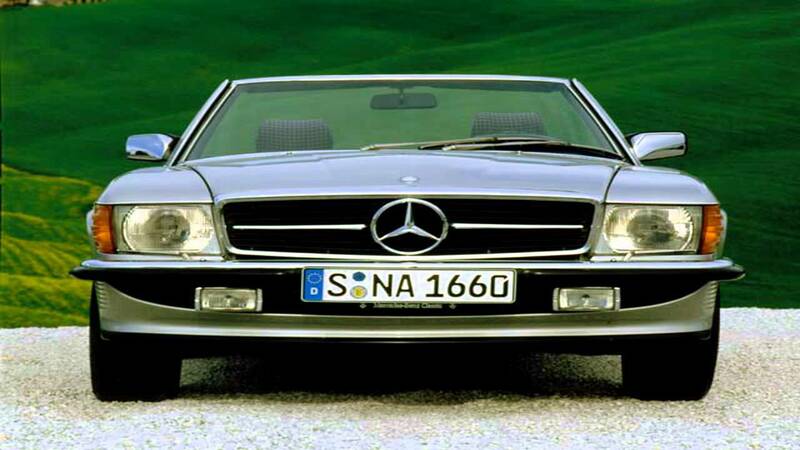 By 1984, I had the resources to see about a Mercedes convertible. When I talked to a local dealer, he informed me that there was about a nine months waiting list. Was I crushed! But a few weeks later, the same dealer called me back. The buyer for one convertible had a fatal glitch in his credit. A brand new, cream colored Mercedes convertible was mine. Although the car was close to the ground, it was great fun for me and, eventually, for my wife, to drive. One aspect did seem strange. Despite the legitimate luxury tag on his car, its convertible top had to be taken down manually. Mercedes provided two wrenches for the task. The effort wasn’t so bad, but why manual always puzzled me. When we switched houses, our little Mercedes was without a garage. It had over 100,000 miles by that time. So, very reluctantly, I traded it in for a smaller closed top Mercedes for my wife. I was sure I would get back in the Mercedes game before long. Sometime in the early 1990s I’m not sure where, I saw another vision of a “boat” that enthralled me. This time, it was a Jaguar convertible. When I inquired, I found the exact model was XJS12, as in 12 cylinders. When we bought one, we drove the car from a Chicago dealer down to our home in the Carolinas. Arguably, the Jaguar was the most beautiful of my ragtop gems. I probably spent as much time looking at it as driving it. Someone made reference to a back seat. But only a midget could fit here, and, for practical purposes, although longer than the Mercedes, the Jaguar was a two-seater. Again, this was 1995, before a certain car manufacturer messed with and ruined the classic Jaguar design. This car was, admittedly, uncomfortable to drive. My wife said that if you just had a chiropractic adjustment, you would need a second one after a Jaguar jaunt. By 2002, I felt ready to hunt for a new Mercedes convertible. For some reason, we didn’t hit it off at all with the dealer’s salesman. We left in a huff and went across the highway to a BMW dealer. This brand wasn’t on our radar, and I knew next to nothing about BMW. This salesperson was very personable, and we really hit it off. Things were aided, since she had available a very low mileage 2002 four door convertible. Although the vehicle was shorter than the Jaguar, it had four seats, all reasonably comfortable. Also, similar to the old Lincoln Continentals, its top came down automatically and disappeared into the trunk. When we moved to Arizona, I discovered that our garage was just a little short for the El Dorado. Also, the old bugaboo about whom could I trust to service the Jaguar came up. So we sold them to two different people who I thought had mechanical knowledge and appreciation and would take good care of them. The BMW we kept and my wife even drove it out all the way from North Carolina to the Phoenix area. Probably, I won’t buy another convertible, small or large. But the great memories I have of all these ragtop models will be with me forever. Something like the song, “I’ll take (this form of) romance, ” I will take it any day.